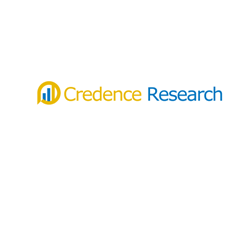 The latest market report published by Credence Research, Inc. “Global Stem Cells Market – Market Growth, Future Prospects, Competitive Analysis, 2017 – 2025,” the global stem cells market was valued at US$ 5,231.7 Mn in 2016, and is expected to reach US$ 13,731.5 Mn by 2025 expanding at a CAGR of 10.50 % from 2017 to 2025. Stem cells therapy will be transforming the medical treatment in the coming decades with a few factors yet to be addressed which surfaced during clinical trials studies such as intersection of cGMP guidelines with GCPs, and temperature control factors where it is easy to transport the cells within research centre but challenge arises when it is transferred to different countries. Additionally once the stem cells are administered to volunteers enrolled under clinical trials the monitoring of safety is huge concern. The ICH guidelines regarding the stem cells therapy needs to be revised as they are 20 years old. In 2016, adult stem cells segment dominated the market due to key market drivers such as its high compatibility with human body, low contamination during the sub culturing protocols and has advantages of avoiding ethical issues associated with the use of other human cells. Induced pluripotent stem cells segment will be the fastest growing market throughout the forecast period 2017-2025, as it possess application in regenerative medicines, drug screening, disease modelling, and organoid generation. In 2016, regenerative medicine dominated the application segment due to factors such as rising prevalence of chronic diseases requiring immediate medical intervention, and it provides novel opportunities to the pharmaceutical companies by identifying the lead candidate and development of novel drugs. Drug discovery and development segment will be the fastest growing market throughout the forecast period 2017-2025, due to the factors such as increasing demand for stem cell technology from pharmaceutical giants to reduce the high attrition rate of late stage drug candidates and build innovative cellular models. In base year 2016, autologous stem cell therapy held the largest market primarily due to factors such as no immunological rejection and no requirement of anesthesia during stem cells transfer to patient. Allogenic stem cell therapy will be the fastest growing segment throughout the forecast period 2017-2025, due to factors such as rising demand in oncology as it gives the graft versus cancer effect in the host and donor can donate more white blood cells whenever required. Kommentar hinterlassen on "Stem Cells Market 2018 – Global Industry Size, Industry Share, Market Trends, Growth and Forecast to 2026"